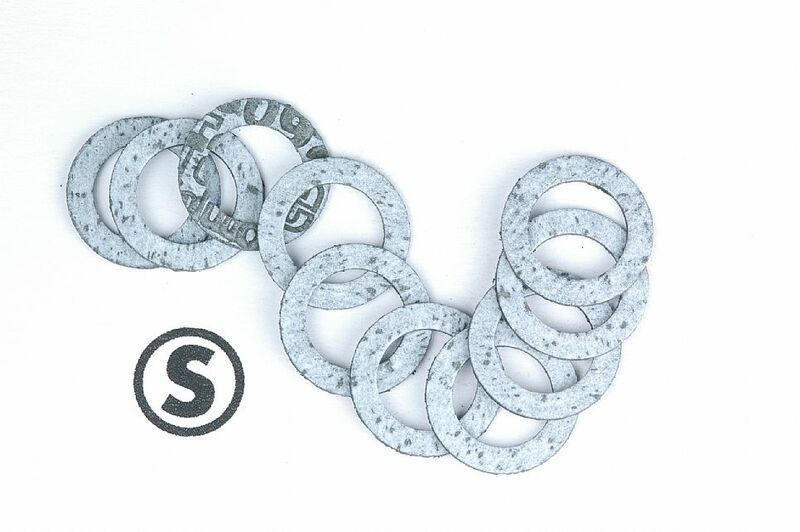 A pack of ten Stromberg banjo gaskets. A new material too. The same high-tech nitrile/cellulose mix that we use for our main carburetor gaskets. Fits kits 9082K and 9083K. As with any banjo, you should replace the gaskets whenever you disconnect the fitting from the carburetor. There are two gaskets to each fitting.